Masavu FC registered their fifth victory of the Azam Uganda Premier league current season as they defeated Soana FC 1-0 at Bugonga on Wednesday evening. The only goal of the game was scored by Masavu FC team captain Abraham Ndugwa through convertind a penalty that propelled the Entebbe based side to within two points of safety. The penalty arose after a handball by Soana defender Musa Mudde in the forbidden area after 13 minutes of the poorly attended game. 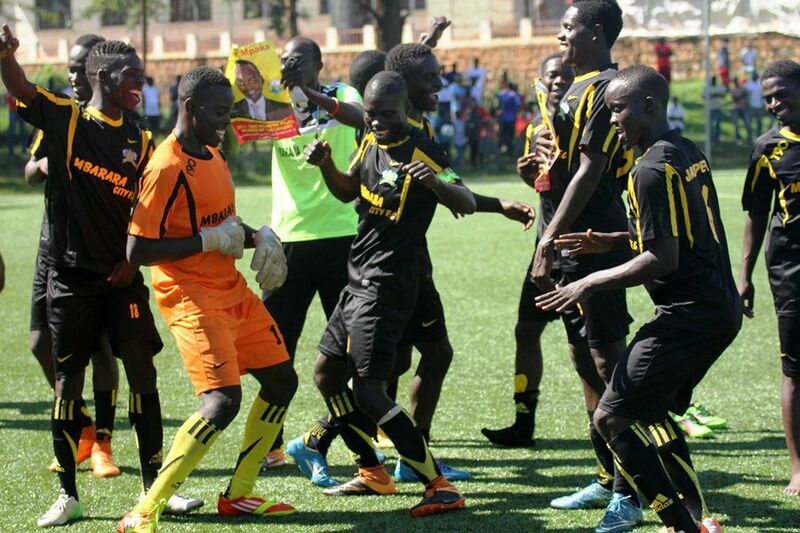 This was only Masavu’s third victory at home in the 12 matches they have played at Bugonga this season with the other two victories coming against Onduparaka and Bul. Masavu remain rooted at the foot of the table with 23 points from 25 matches, level with Proline but holding an inferior goal-difference as compared to the Lugogo based side. For Soana, defeat leaves them in 10th position with 28 points from 24 matches, only three points away from the relegation zone. In the other game played on Wednesday, home side Mbarara City saw off a spirited Bul FC 2-1 at the Kakyeka stadium. Swaliki Segujja and Emmanuel Obina scored for the Ankole Lions in the first and second half respectively sandwiching a Jean Pierre Kimberly goal for the visitors. Mbarara now move to 12th on the log with 26 points from 24 games while Bul remains 9th with 29 points from the same number of games. Action in the Azam UPL resumes on Friday with URA hosting Maroons at the Mandela National stadium in Namboole.